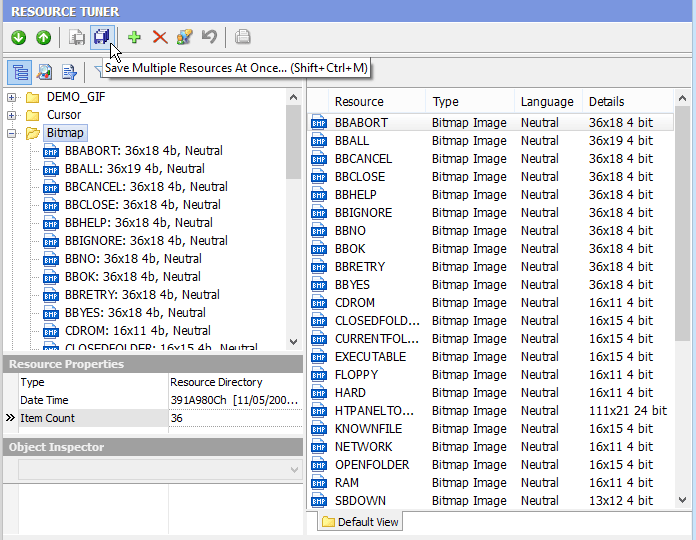 Resource Viewer: How To Extract All Resources At Once with EXE Resource Editor. 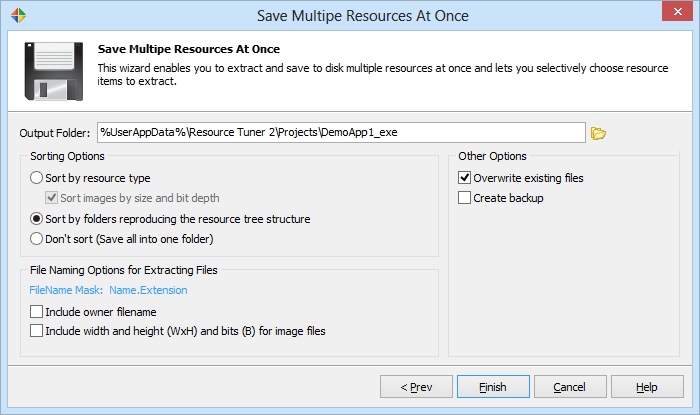 Resource Tuner takes the drudgery out of manual repetitive tasks, enabling you to extract and save to disk multiple resources at once. 1. 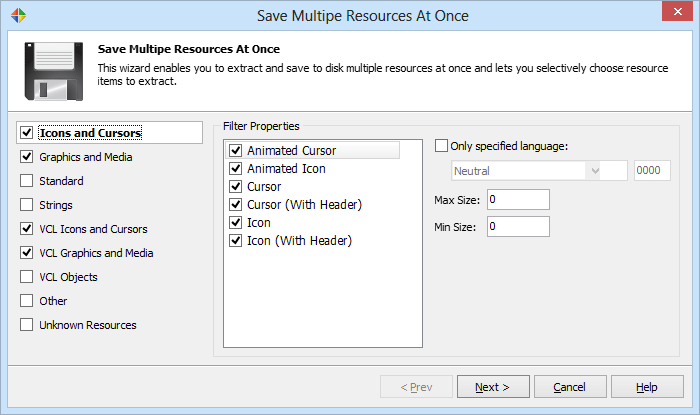 Press the Save Multiple Resources at Once button. 3. Press Finish and you are done!